Take your students to the next level of rope jumping difficulty by introducing double Dutch. You get a pair of adjustable, durable plastic ropes, each with loop handles. 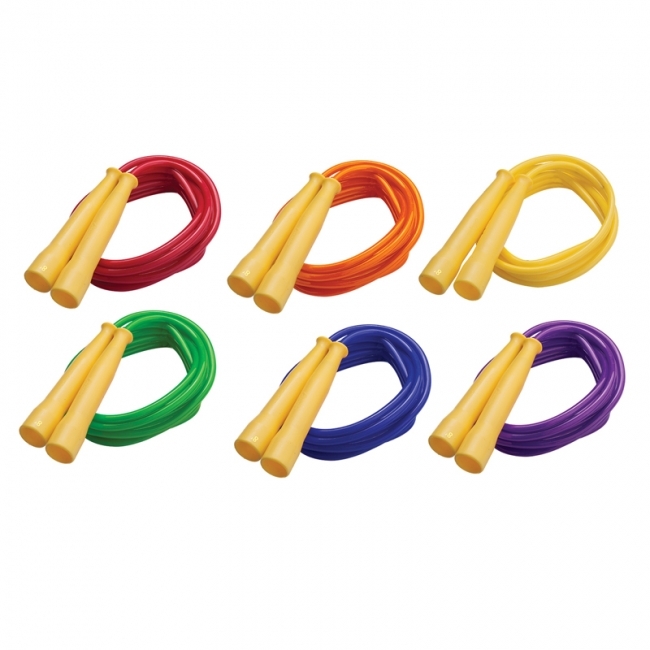 Colors are orange and yellow. 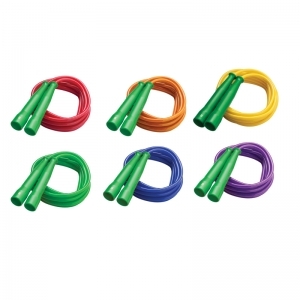 Each set includes 2 ropes, 30' each. 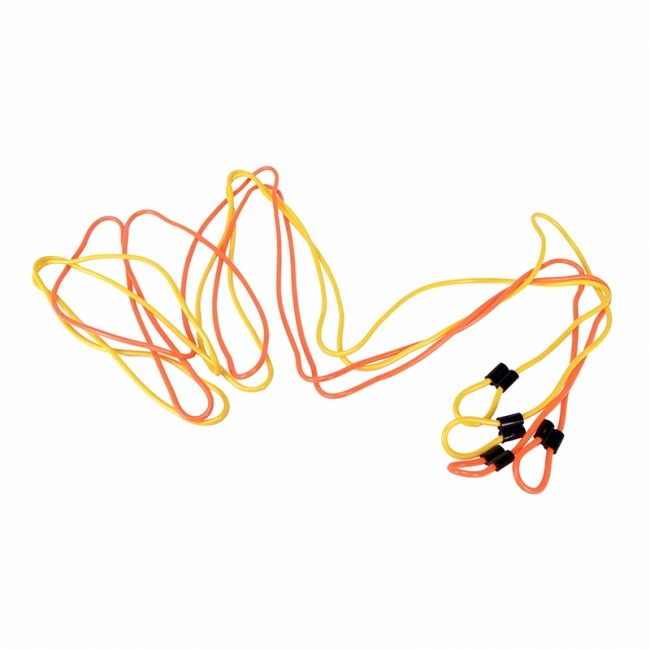 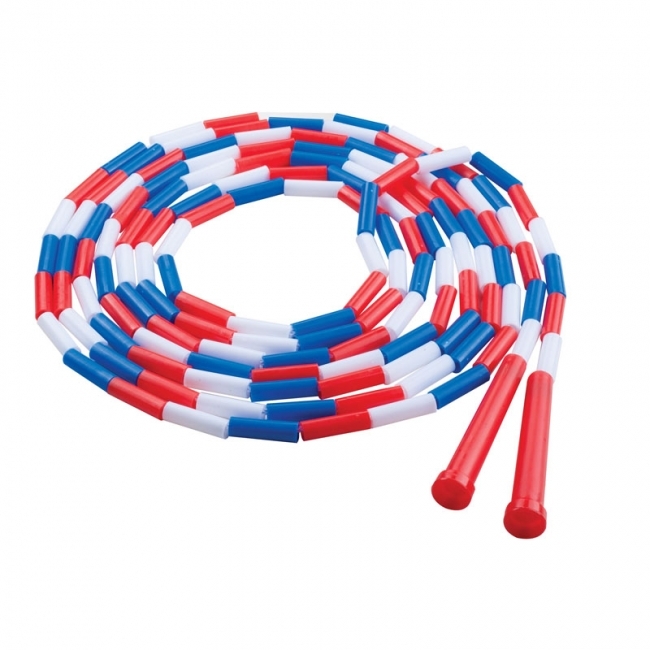 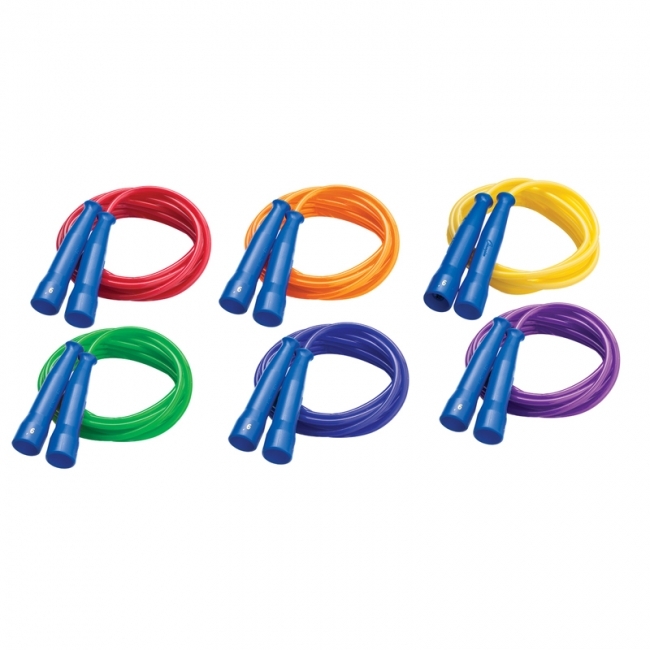 The Champion Sports Segmented Jump Rope provides a fun recreational or P.E. 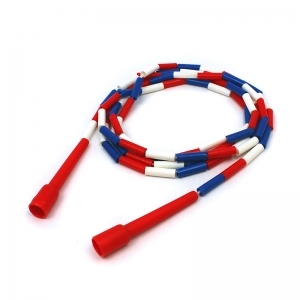 activity for kids, and great cardiovascular and fitness benefits for adults! 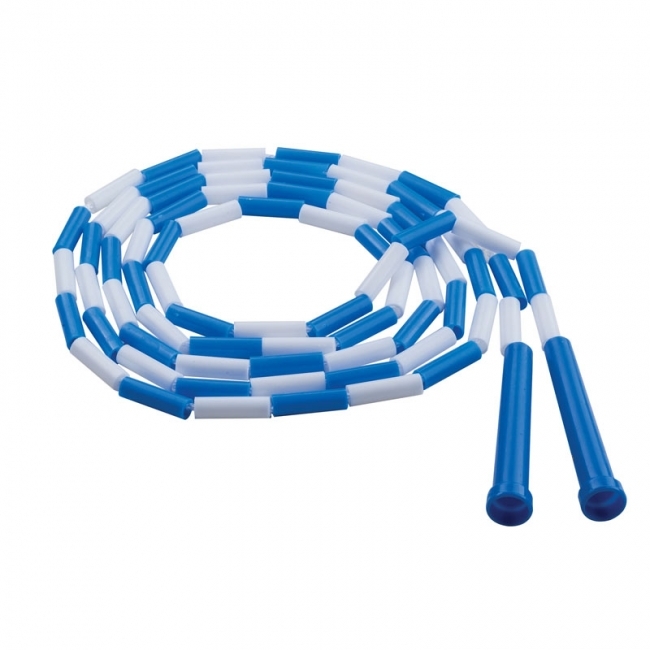 The sound of the beads hitting the floor helps teach rhythm, and these ropes are available in a variety of lengths to accommodate all jumpers. 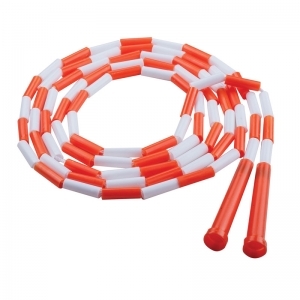 Measures 9'. The Champion Sports Licorice Ropes are designed for speed jumping, and feature a molded plastic green handle for an easy grip. 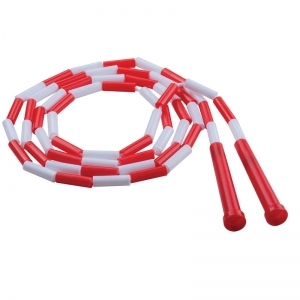 These Licorice Ropes are incredibly fast, durable, and offer a great value. 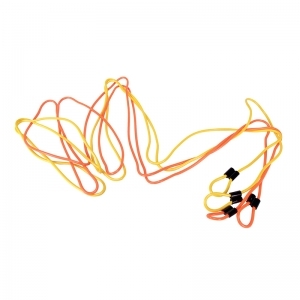 Size: 10' Long. Six colors available, color cannot be specified at purchase. Licorice Speed Rope is so affordable that it's possible to provide every member of your rec center or gym class with their own piece of fitness equipment. The 16' plastic rope comes with orange molded plastic handles that are easy to grip. The Licorice Speed Rope is so affordable that it's possible to provide every member of your rec center or gym class with their own piece of fitness equipment. 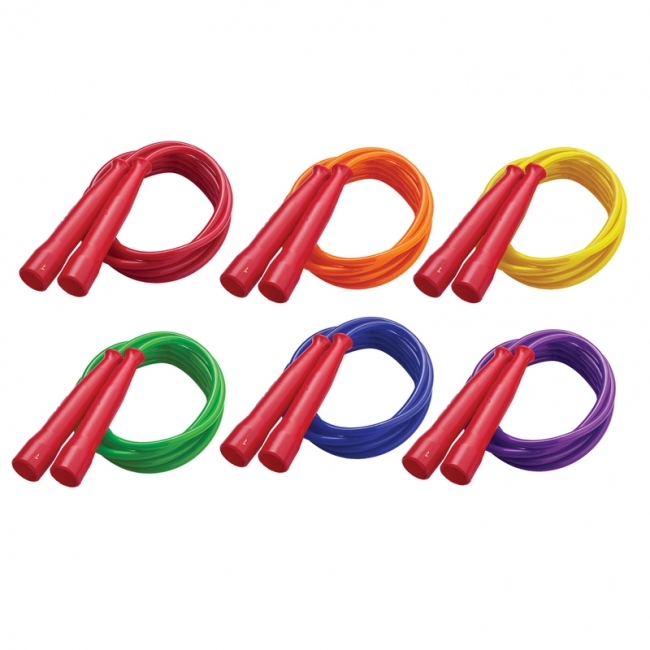 The 7' plastic rope comes with red molded plastic handles that are easy to grip. 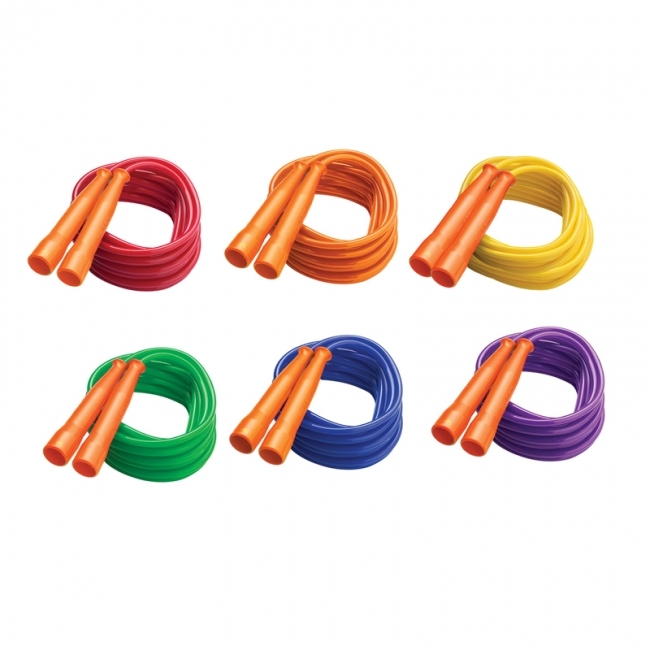 Licorice Speed Rope is so affordable that it's possible to provide every member of your rec center or gym class with their own piece of fitness equipment. 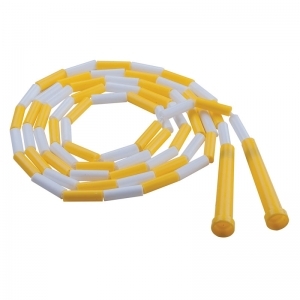 The 8' plastic rope comes with yellow molded plastic handles that are easy to grip. 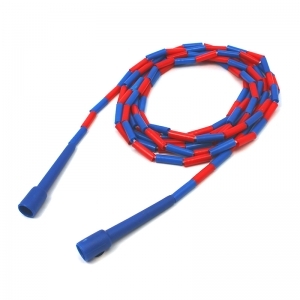 Licorice Speed Rope is so affordable that it's possible to provide every member of your rec center or gym class with their own piece of fitness equipment. The 9' plastic rope comes with blue molded plastic handles that are easy to grip. 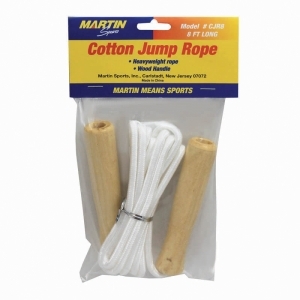 Martin Sports Cotton Jump Rope is a heavyweight rope you can use for cardiovascular fitness or recreational exercise. These ropes are made of heavyweight cotton, and feature wooden handles for excellent grip and control. 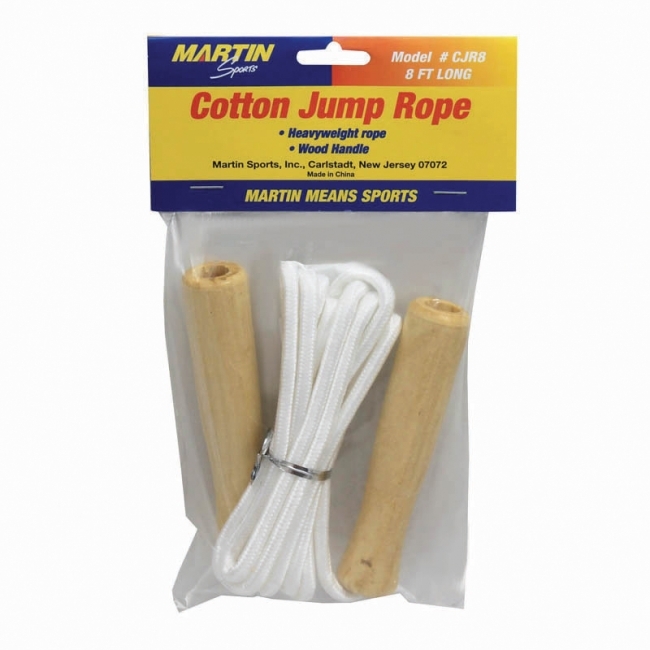 Measures 7' L.
Martin Sports Cotton Jump Rope is a heavyweight rope you can use for cardiovascular fitness or recreational exercise. 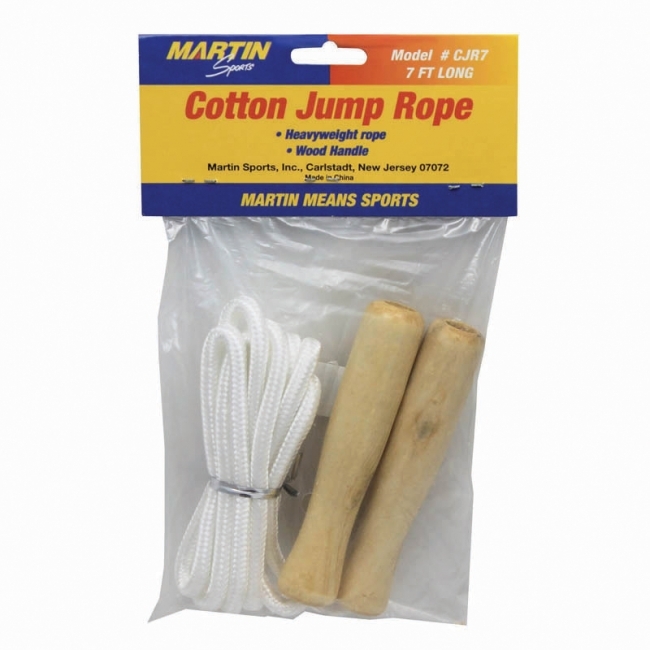 These ropes are made of heavyweight cotton, and feature wooden handles for excellent grip and control. 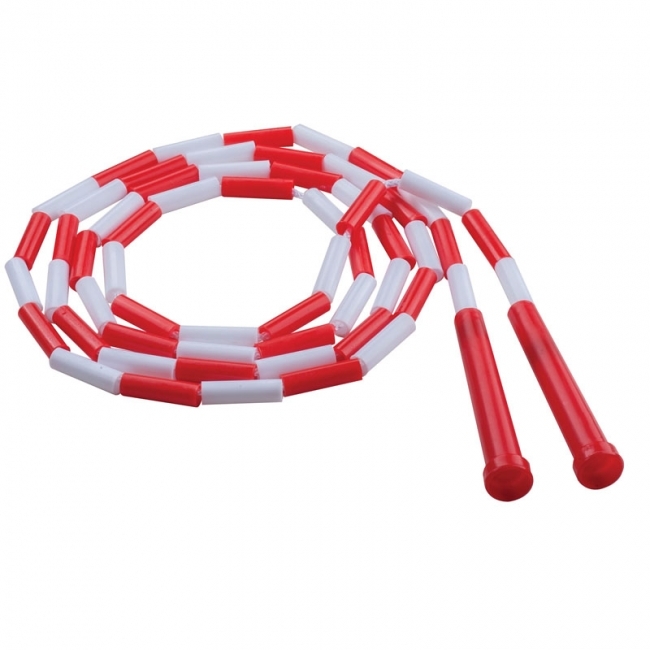 Measures 8' L.